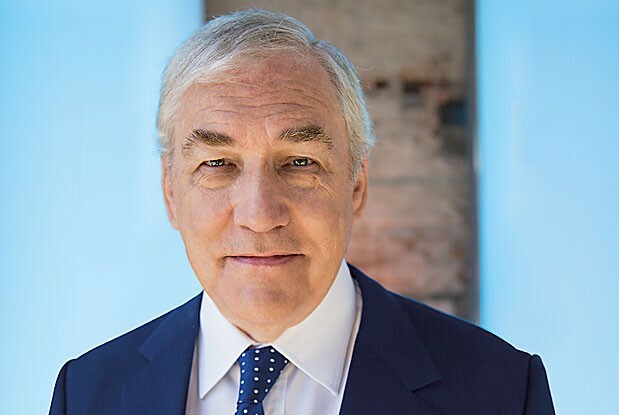 At 3 p.m. on a recent sunny Thursday, Bayview resident Conrad Black sits stoically at a bright white table in a bright white room. He’s in the sprawling Liberty Village offices of ZoomerMedia, which produces TV, radio, print content and more for the 45-plus crowd (“Boomers with Zip,” as their slogan goes). His gaze is fixed straight ahead, seemingly unaware of the titillating eight-foot image of Jann Arden (a blow-up of Zoomer magazine’s April 2012 cover) on the wall just behind his trim white hair. The 69-year-old Black is wearing a simple but well-tailored navy blue suit with a silk tie knotted neatly around his staunch neck. His complexion is wan due to a cold, but congested sinuses aren’t slowing him down in the least. He is in fighting spirits.